We were led to our room, which has two club chair-like seats. 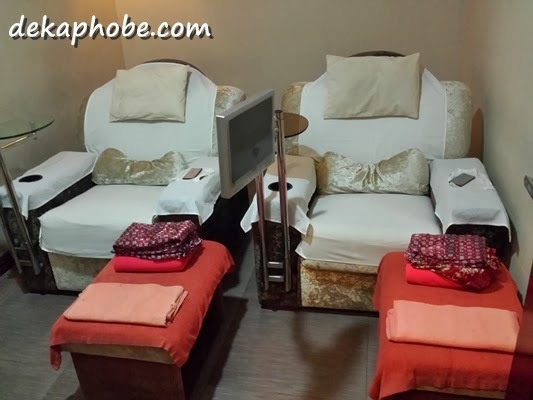 Each chair has a TV (with cable TV on), robe, shorts, slippers and a small table to put your accessories / phone. Apologies for not taking a lot of photos during the massage as the lights were off the whole session, and I so busy watching tv (hehehe). I actually love foot massages because I believe that aside from the head, the feet is the most abused part of the body. 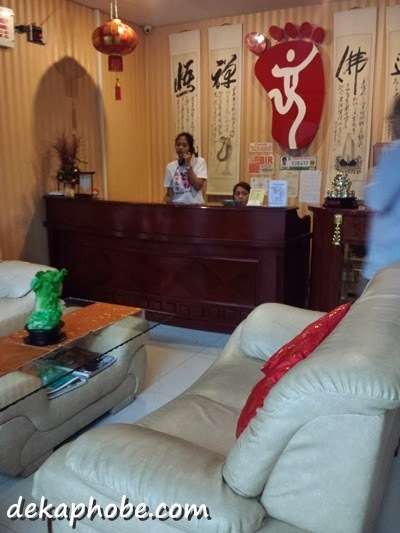 I haven't tried Beijing foot spa, I'm surprised that you can watch TV while getting a massage, isn't that a bit distracting? i'm addicted to massage, especially thai massage. i usually fell asleep during the session. everytime. I sometimes fall asleep, especially when I'm really tired. haha. You do exactly well that you go once in a month to the spa of your choice and I agree with you that we must make only one choice where we exactly can trust to have the best physiotherapist. Everyone enjoys the power of the best foot massager machine, the massage and the cleaning of our feet so helpful and relaxing indeed. But does anyone really know what benefits it can give us aside from relaxing and pain.